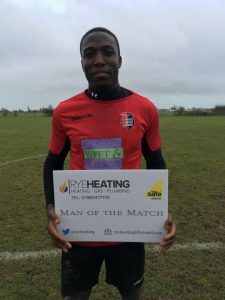 St Leonards Social were the visitors to Rye Rugby club in this East Sussex Football Premier League encounter on Saturday January 26. Could Rye Town FC continue their winning streak since the turn of the new year and chalk up their third consecutive victory? Oh yes they could – and in style. 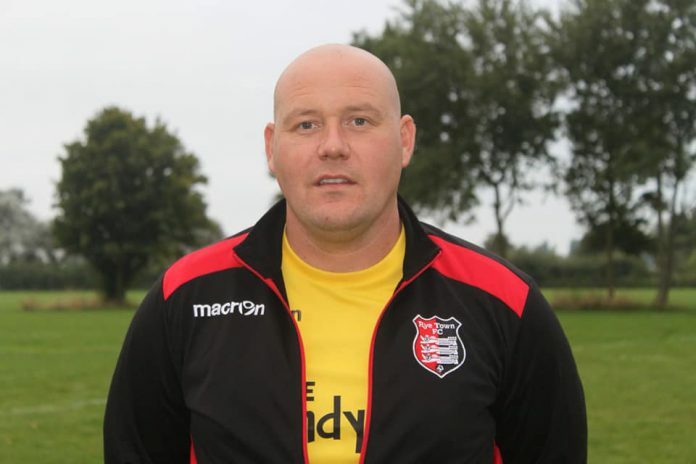 Darren Warne opened the scoring in the seventh minute and 11 minutes later Georges Gouet made it 2-0 to Town FC. A brace from Craig Pierce in the 31st and 33rd minutes respectively ensured Rye went into the half-time interval with a fantastic four goals advantage. After the break Rob Levett made it a fabulous five in the 76th minute as Rye secured another three league points. The impressive start to 2019 continues, which has seen Town score 10 goals and concede only two in three games. It was a double celebration for Town’s coach Shane Ridgers as he celebrated his birthday this week. Rye Heating’s Man Of The Match award went to Georges Gouet and the game was sponsored by Pete the Pane Window Cleaning. Next up for Rye Town FC is the visit of Bexhill Utd II, on Saturday February 2. The match is the Quarter Final of the Robertsbridge Intermediate Cup. Kick-off is at 1:30pm and the match sponsor is The Mermaid Inn, Rye.